Before I jump into the really delicious recipe I wanted to tell you some exciting news. Etsy finally approved my name change. I have tried to get them to change it to a version of what it was and my reasoning was not good enough. Then I had the idea to make it pair with the blog, CatHairandGlitter was taken. But CatHairGlitter was not and they approved it. Abbey still says no one will want to buy something that comes with a sprinkling of cat hair but I think they may. Now I can work on on a banner. Ok now for this weeks popsicle. Since its Pride Month, I wanted to do something to reflect that. Plus I'll tell you how to do an alcohol free one, for the kids. We can do this the easy way.....or the hard way. Jumping on the unicorn bandwagon, here is my take on it. You will need Just a few ingredients. 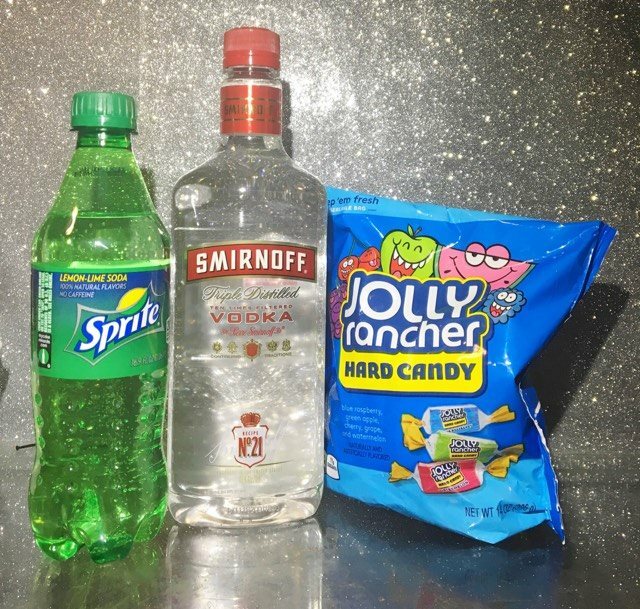 Put the Jolly Ranchers (about 8-12) and as much Vodka as you want to use (and of course you can use any brand you want) into a container to dissolve. Overnight did it for me. Then add Sprite. Now the easy way is you add a flavor to a glass or popsicle bag. 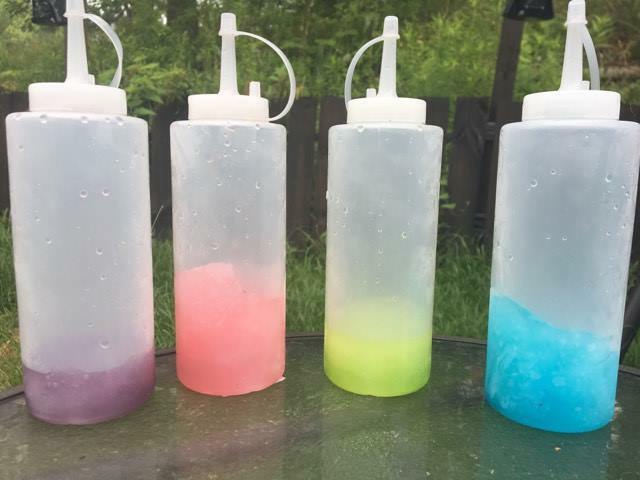 The hard way is you stick the containers in the freezer and then add them in layers when they are slush and then add them back to the freezer to freeze. Edited to add: You can use any sweet candy like skittles or starburst but you will have to filter off the waxy coating. With the Jolly Rancher you don't have to filter anything its ready to mix and freeze as soon as you dissolve it. I used Grape, Watermelon, Green apple, and Blue Raspberry. Sorry Cherry, you were just too close in color to Watermelon. 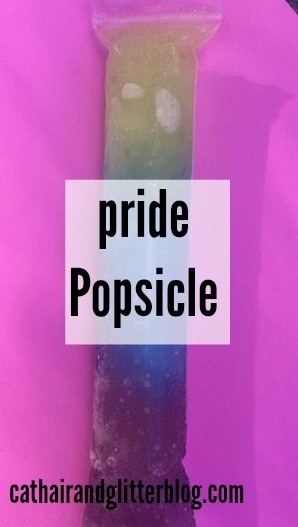 Pride popsicle is done the same way, only it is a popsicle instead of a slushee. Now lets say you are REALLY short on time and don't want to dissolve Jolly Ranchers. 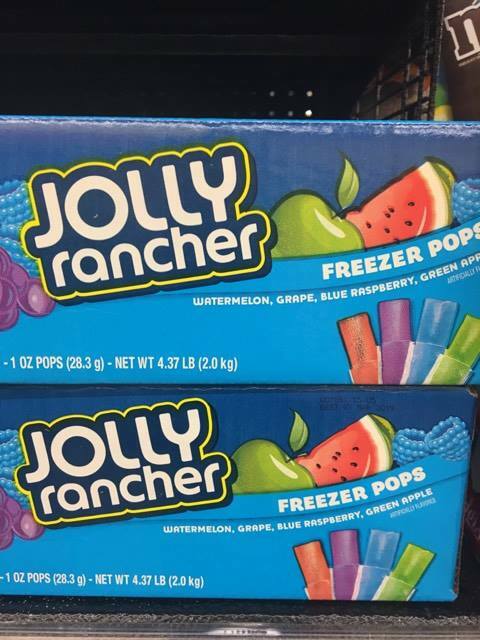 You can substitute Jolly Rancher Popsicles. To make it alcohol free just dissolve the jolly rancher in the sprite and enjoy. I can't get over how perfectly sweet this is. 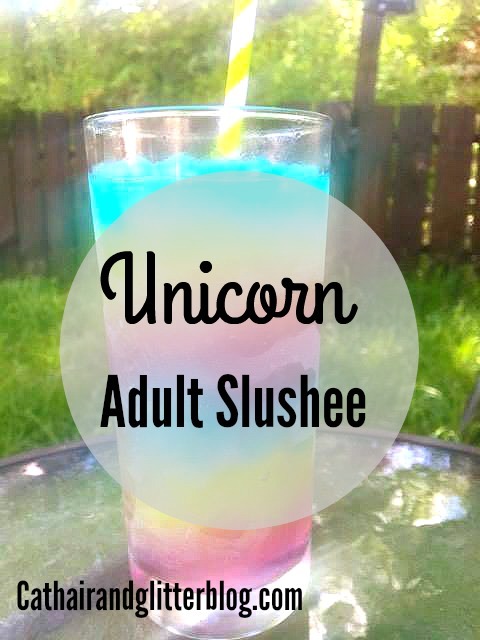 You almost don't even realize there is Vodka in it. I don't even have words for how yummy this is. Even all mixed up in the glass its awesome.